Pamommy Loves to Run: Kona Kase Review and ZuZa Giveaway! Kona Kase Review and ZuZa Giveaway! The wonderful folks over at Kona Kase sent me their July box to review and as always, it didn't disappoint. I didn't get a chance to take a picture of it before the family broke into it so I got this one from their facebook page. The first item stolen from my box was the Perky Jerky. My husband LOVED this stuff. Perky Jerky is all natural jerky. It's made with 7 ingredient marinade, is low fat, low carb and high protein without preservatives, nitrates or MSG. He got too the Enjoy Life Seed pack too. He is a big fan of seeds (old baseball player) and ate them as a snack on a busy work day! The are salty, sweet and crunchy. 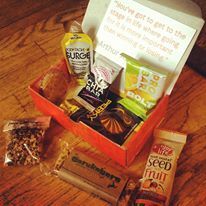 The pack features sunflower seeds, pumpkin seeds and dried fruit. They are Gluten free and free of the top 8 allergens, non-GMO and vegan! Pro Bar chews were used on my long run last week. Bolt organic chews are loaded electrolytes, B vitamins, antioxidants, and complex carbs to get me through my run. I love chews for shorter runs! My husband tried the Caveman Cookies. He thought they were a great snack. They are cookies made of simple ingredients, honey, nuts and berries, are all natural, grain free, dairy free, preservative free and naturally sweetened. There are two other products that I haven't gotten to yet. The first is the Health Warrior Chia Bars. Each bar has only 100 calories, 5g of sugar and is a great snack to boost workout performance. The other product is the Body Glove Surge Gel. I haven't had to run any LONG distances that would require a Gel yet but am getting close. The gel delivers rapid and sustained natural energy and contains 150mg of caffeine. As always the Kona Kase has delivered. 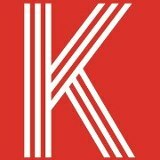 I LOVE their service and have received many of their boxes. My family loves seeing that orange box show up in the mailbox and they have the best customer service!! Check them out at Kona Kase on the web or on Facebook. They are offering $5 off using the "GIFTSUMMER" code at checkout! I also have my ZuZa giveaway going on until 8/12. Hope everyone has entered and good luck!! Good luck and thanks for the entry! They are great!! I love mine especially with all this heat!! I love the energetic argyle and hot rockin dots! August goals and a Bachelorette Party! !